Navigate to wp-admin ? Plugins ? Add New ? Upload and upload the .zip file you downloaded from your account. Then activate it. NB. You must have Project Manager Invoice add-on installed and activated before you install PM Invoice Stripe Gateway. After installing this add-on, you will get some extra options in wp-admin ? Project Manager ? Settings ? Invoices. 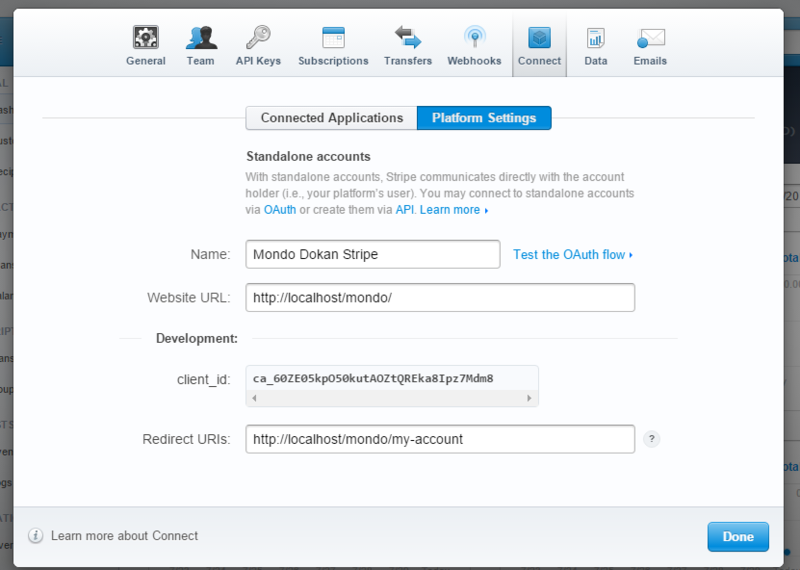 In this page, you will have the option to enable Stripe first. After that, scroll to the bottom to fill out the required fields. If you unsure about the fields, please read this doc, where we have described setting up Stripe or you can follow the guidances below. Fill out the fields with the data from the Stripe API. You have to open an account at Stripe.com with a verified email ID. Now go to account settings and then the API tab. Here you can see the testing keys and the live keys. Live keys are for actual use where test keys for you to play around. Copy the API keys into project manager. Press Save Changes when done. But do not close the API page yet. Last but not the least, you need to connect your site. So, go to the connect tab of stripe, fill in your site address and a redirect link to get the client_id. Filling in the redirect URI is important. Users will be redirected upon successful (sometimes unsuccessful) payment to this site. Though this is optional but its better to have a page that confirms the user if the operation was completed or not. Also a cool thing about stripe is that you can use your localhost address here, works totally fine. Now you can test it if it is working. 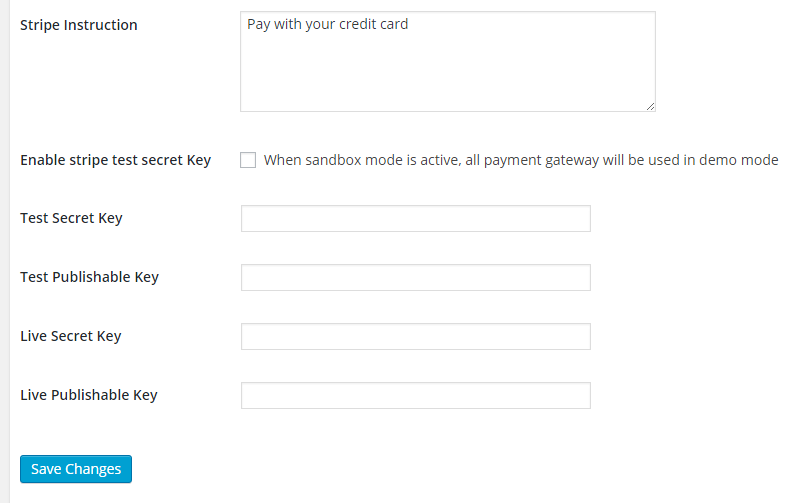 Ticking the “Enable Stripe test secret key” and you will be able to test the functions in Demo. 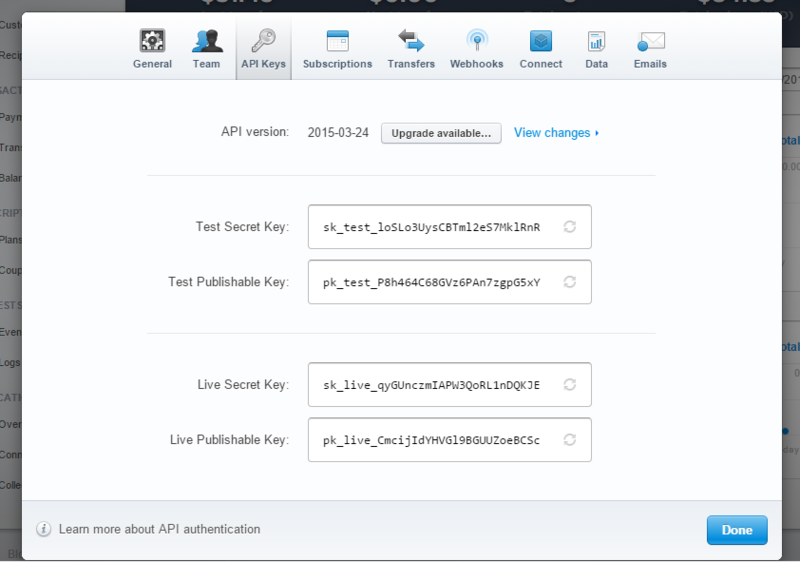 Stripe itself provides you with a test application and API keys for your convenience. But the demo mode allows you to turn them on or off if you have them filled in. Create a new project or go to an existing project, go to the invoice tab and generate your invoice using stripe connect. Tick off the Test keys which you turned on previously to use it live. You are done!